When people ask me what I do, I often find myself wincing on the inside before responding. It can be a loaded question, depending on who is asking the question and what the circumstances are. For nearly fifteen years, my answer was simple: I’m a Spanish and Dance teacher at Carlsbad High School. My standard answer nowadays has become a bit lengthier, and I find that I often have to do a bit of explaining. I hope that’s true. I want that to be true. But there’s still a part of me that feels like I should be doing more. Something that not only fulfills me, but something that allows me to contribute to society and help people. I miss that about being a high school teacher. 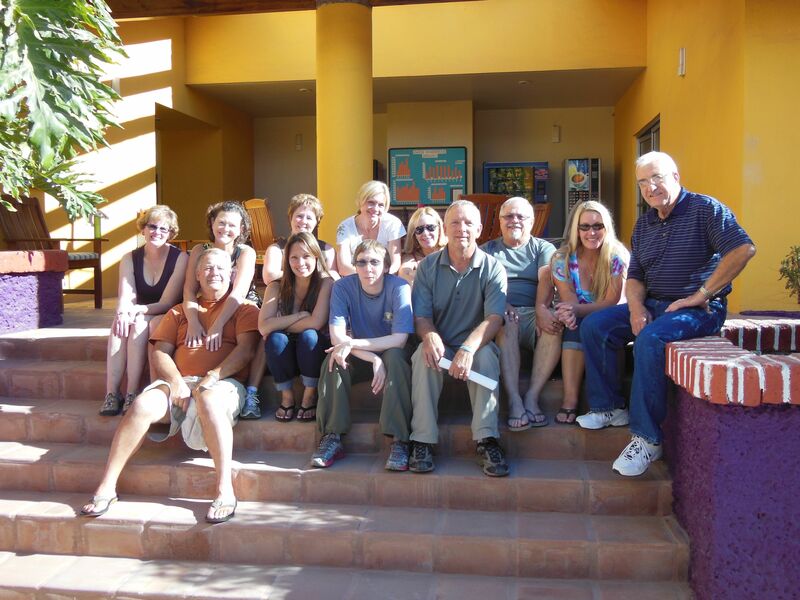 Our merry band of volunteers, ready to help Esperanza in its mission to help build homes and communities. Recently, I found an opportunity to do just that. A group at my church has been making annual trips to Mexico through a secular organization called Esperanza International (esperanza is Spanish for “hope”) to help build homes with families in various colonias, or neighborhoods, in greater Tijuana. As a relatively new member to this congregation (I’ve been attending since autumn of 2010), I thought this would also a perfect opportunity to meet and get to know more people from my church. And despite my lack of handyman skills, I felt that I could provide what skills I do have (speaking Spanish, a strong body, a good work ethic, a good dose of compassion) to help people in need. 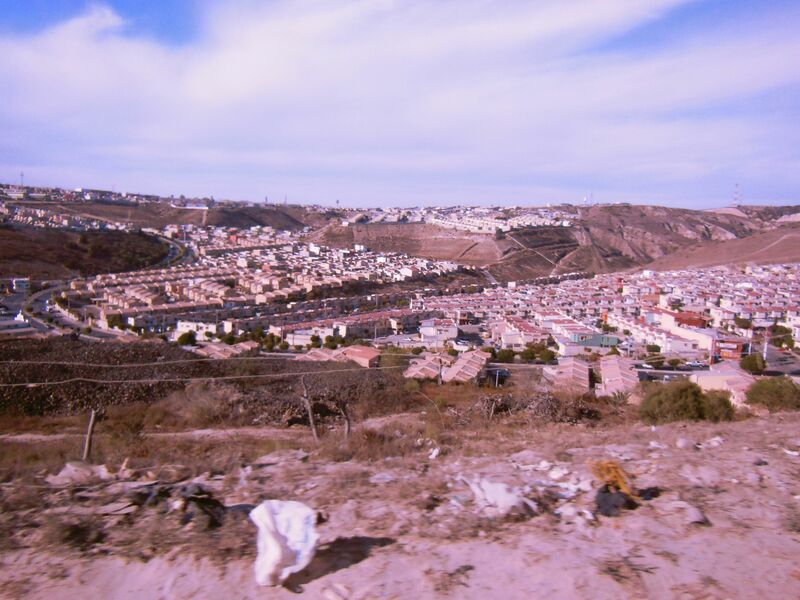 But perhaps most importantly as a long-term benefit, I would see Tijuana from a perspective that would enable me to connect with a people and a culture on an intimate and personal level, to begin to understand their needs and circumstances and to close the gap between my perception of that culture and the reality that they experience. Doing a volunteer project like this will almost always change you, or at the very least, expose you to things you never knew or never realized. You’d have to be a piece of lint to not be emotionally affected in some way, so I went into this expecting to learn a lot about the people of Tijuana and even about myself. What I wasn’t expecting was the shock of finding out that I had had negative preconceived ideas about what I would see. 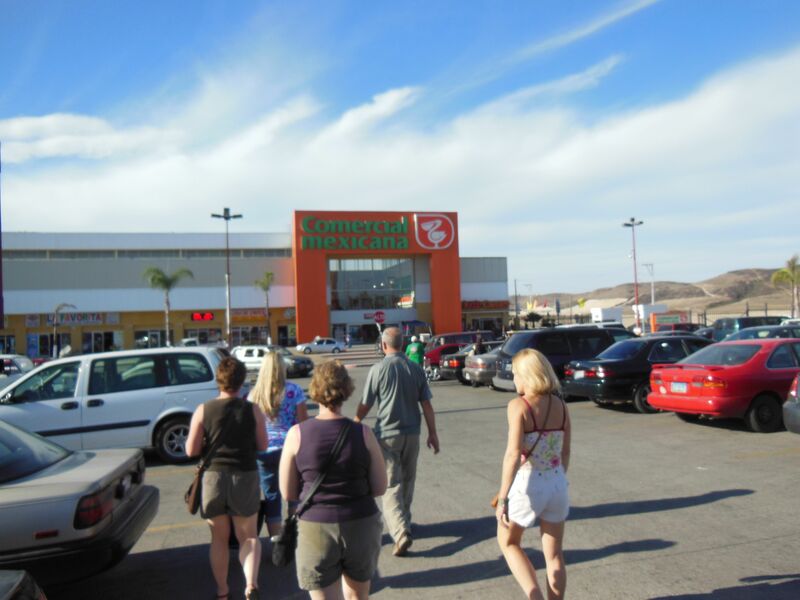 What I mean is that my mental picture of Tijuana did not match the reality I encountered. I thought I knew what it would be like, but I had such a near-sighted vision based on Friday night trips in high school to the bars on Avenida Revolución (sorry, Mom, it’s true), day trips for cheap goods and cheap meals as an adult, and years of watching horror stories of violence on San Diego and national news. The image I had of Tijuana was one of littered streets, people living in poverty, and children selling packets of Chiclets gum as you tried to cross the border back to the U.S.
That’s not to say that I didn’t see those things on this trip, because I did, but I can’t believe how easily I had duped myself over the years into believing a sweeping generalization about an entire city when I knew better that. I was completely embarrassed to realize that I had been so narrow-minded. For heaven’s sake, I was a Spanish teacher, yet I somehow had permitted myself to perpetuate a false perception and an oversimplification about what life is like for our neighbors south of the border. This all hit me on the first day. There were twelve people in our group, and we packed a long white van with our luggage and ourselves and drove from San Diego Airport to Tijuana. Bypassing the downtown area, we took the highway to head south of the city proper to a town called La Gloria, where we would make our home for the next seven days at La Posada Esperanza (Esperanza’s multi-use and dorming facility). Along the drive, which brought us near the coast and then back inland, I noted to myself that the topography was so similar to many areas in San Diego: dry, rugged cliffs speckled with chaparral, winding canyons, and vast mesas. There were clusters of modern factories, residential areas, commercial areas, and stretches of natural space, like most any other area in its north of the border sister city. If not for the dense stacking of multicolored and mismatched dwellings, rubbish piling up and then cascading down the hills upon which those homes were built, and the graffiti that was exclusively in Spanish, I could have imagined this being a part of San Diego. And if not for a political border that now separated this land and its people from its neighbor to the north, this could be a very different picture. Across from a desolate dirt road hill, a comfortable neighborhood is in bloom. After settling into our residence, several of us agreed to go on an errand to buy our groceries for the group for the week. From the posada, we took a bumpy, roller coaster of a dirt road to a nearby colonia. Had I known how topsy-turvy this drive would be, I would have taken some Dramamine…and sat on a pillow. As we crested a hill lined with empty plastic bags and tire remnants, I looked to the right and saw an immaculate and thriving community filled with cookie cutter houses of the pastel tangerine variety, with a couple of blue and red ones thrown in just for show. I was taken aback. This well-paved and expertly organized neighborhood could be mistaken for a suburb near where I grew up. My brain started to grind. I could almost hear the cogs jamming and struggling to turn because I was having difficulty reconciling the image of Tijuana that had long-lived in my mind and what I was now seeing with my very own eyes. 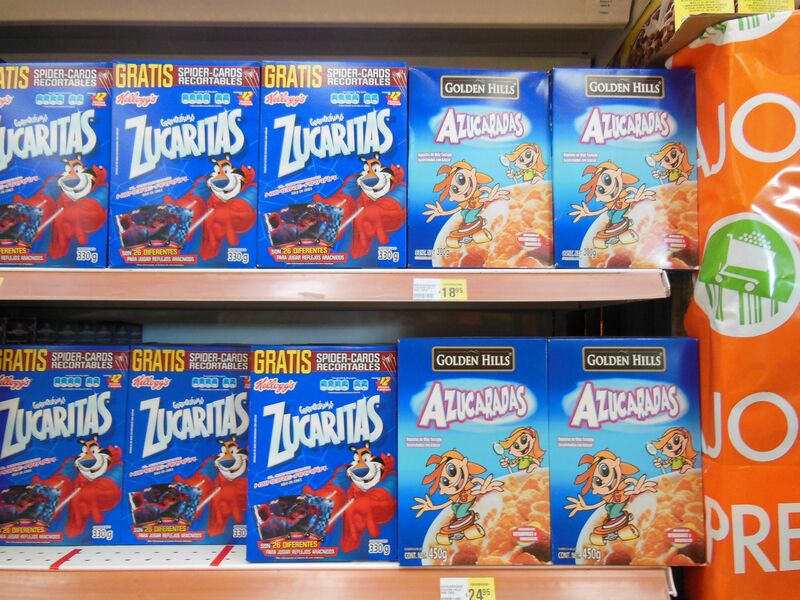 The megamarket Comercial Mexicana (a.k.a. 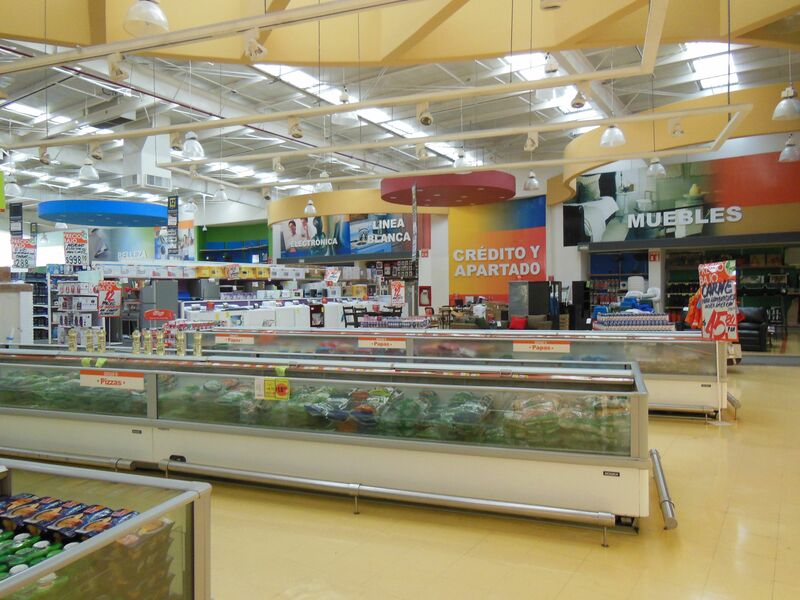 La Comer) sits on prime property next to a Little Caesars, across from a gated neighborhood. Before I had time to process that, we arrived at the supermarket. And when I say super, I mean mega. Think Safeway meets Walmart meets Costco–gigantic, with everything under the sun, but a with smidge more coziness and personality. This Comercial Mexicana chain store (fondly known locally as La Comer) was situated in a strip mall with co-tenants that included Little Caesar’s, Blockbuster, and a Chinese restaurant. 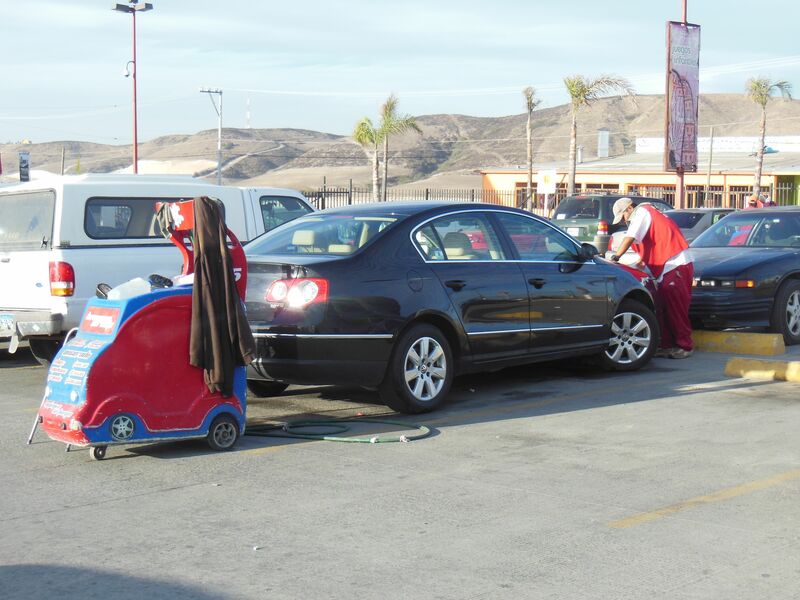 In the parking lot were several while-you-shop car detailers with red plastic carry-all carts equipped with everything they needed to make your car look all shiny and new again. Across the street was a gated community, but just beyond this neighborhood were vast open spaces that were dotted with shanty structures that seemed to long for attention and affection. Get your car cleaned while you shop. If you can’t find Hostess Cup Cakes in the U.S. anymore, you always have the option of getting Mi Pingüino (My Penguin) in Mexico. Tasked with buying a week’s worth of groceries for twelve people, we paired up, divided the list and tried to conquer this megamarket. The immensity of the store was daunting, but it was equally intriguing. 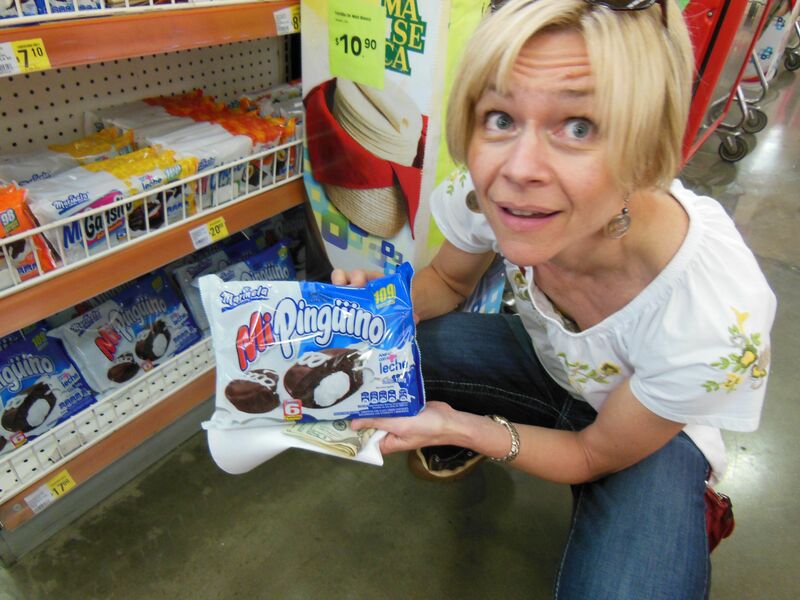 My friend Lori (also a Spanish-speaker) and I couldn’t help but go down every single aisle, amazed by the quantity and variety of products, lusting for products you couldn’t find in the States and pointing out all the multi-national products we had in common. When you come to this 50,000 square-foot megamarket, be prepared to do some serious shopping. The place was packed with happy families and serious consumers who were looking for the best deals on everything from fresh chicken to the ripest tomatoes, from the best facial cleanser to the best-looking jeans, from the most versatile blender to the biggest flat-screen TV. Globalization was here and everything you could possibly want could be found in this 50,000 square-foot box. 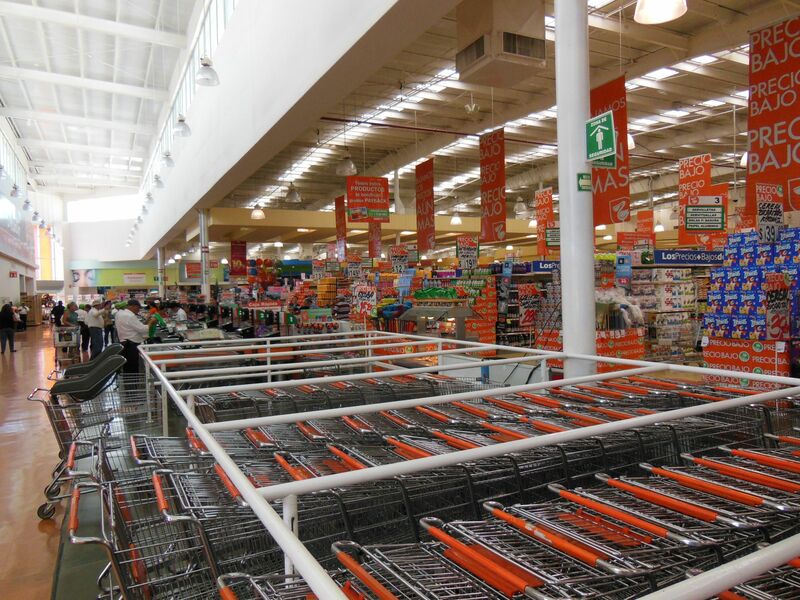 In addition to groceries, you can buy, beauty products (Belleza), electronics (Electrónicas), appliances (Línea Blanca), furniture (Muebles), or take advantage of their credit and layaway service (Crédito y Apartado). I just didn’t know what to make of all of this–of any of this. Not just the relative affluence that I had not realized existed in Tijuana, but the existence of that relative affluence juxtaposed with the desperate poverty that permeated throughout this region. I had so many questions and ideas floating in my brain that I couldn’t manage to articulate–not to myself, not to anyone else…not yet. All I knew was that walls of misperception were beginning to crumble all around me, and it was my opportunity to seize–to demolish them for good during this week of service. I would have the chance to construct new perspectives based on engaging with the people I would meet through Esperanza, to learn about their personal experiences, and to reshape my own ways of thinking. I may have come down here to help those in need, but I had a feeling that in the long run, they would really be helping me. I hope you’ll follow along in the next few posts as I share some more of my experiences on my volunteer trip to Tijuana. Stay tuned! Eye openers! Your blogs really open up a “whole new world – Thanks!